Yesterday we had a chance to see, in person, the Rice Lake iDimension® 100 dim weight scanning system and the Rice Lake Bench Pro Series shipping scale and it is an impressive group of products from Rice Lake! With a system like this, all you do is place the package that you’re shipping on the scale top and within a few tenths of a second you have the weight of the box and the dimensions. This data can then be sent over to your shipping software such as UPS Worldship. We never had to key in the weight of the box. We also did not have to pick up a yard stick and squint trying to read measurements. We did not have to key in the length, or the width, or the height of the box either. All of this was done automatically in under a second! Think of how much easier your shipping process could go at your business! 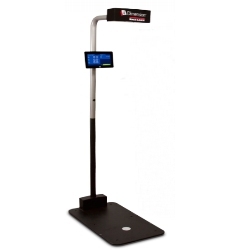 If your business ships a couple dozen boxes or more per day; this iDimension 100 dimensional weight measuring scanner could save your company and your shipping clerk a lot of hassles and money. The iDim 100 could also help your UPS shipping corrections drop dramatically as well each month on your UPS or FedEx statement. We’ve written about the iDimension 100 before with a series of Frequently Asked Questions. The key part of this system is the cost savings. Let’s say you ship products to your customers on a daily basis. On average you ship (50) boxes per day all over the country. The boxes are usually different sizes because you sell various products and various quantities on each order. Your standard order fulfillment process that you currently use is to just fill each box, place the box on the scale and enter the weight and ship to address. The shipping cost is then displayed on the screen and that is what your customer is charged for shipping. Unfortunately, when your UPS and FedEx bill comes in at the end of the month, you will soon find out that you have been undercharging your customers on virtually every transaction. And the costs can be significant. Multiply that out by (50) orders per day and (300+) days per year you can see where a iDimension 100 automatic dim weight measurement system could instantly improve your productivity and bottom line. When you research about the dim weight subject online, often you see folks mention the dimensional weight calculator for UPS or FedEx. The freight density calculator is great but only for a handful of boxes. You don’t want to have to use that online calculator manually for thirty boxes each day. The future of shipping is dimensional weight. From small businesses and mail counters to large operations and warehouses, parcel and package shipment is a daily occurrence. 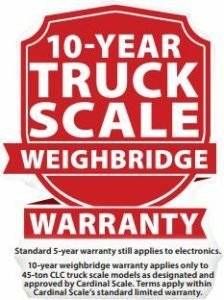 In order to more accurately reflect billable weight, many carriers are now determining shipment pricing based on either dimensional weight or actual weight. Whichever is greater. Measuring dimensions manually is more time consuming than obtaining the package’s weight with a conventional shipping scale. How can businesses ensure freight compliance and deter revenue-loss from miscalculated dimensions, without adding time to their process? There are manufacturers modernizing dimensioning technology to provide shippers with solutions to quickly, efficiently and accurately obtain package dimensions for shipment with dimensioning systems. Dim weight is all about volume. Dimensioning systems use sensing and imaging technology to calculate the dimensions of packages to determine dim weight. Although dimensioning systems differ in performance and technology, they provide valuable solutions to ensure companies optimize dim-weight shipping with accurate package dimensions, all without slowing processes. 1. Optimize the way you package items. Use only the material needed to safely ship products and choose the best sized containers. 2. Do your research. Speak with your carriers to determine the dim weight policies they have in place. Knowing shipping requirements now can help deter additional fees in the future. 3. Document your current total monthly shipping charges to ensure your dim weight shipping charges are accurate (and that you’re measuring dim weight correctly). Odds are you will see a lot of areas for improvement. 4. Convert irregulars to cubic measurements. Polybags, tubes and irregular shapes need cubic measurements, too. Manually measuring irregular shapes can be complicated. A dimensioning system can measure them for you. 5. Streamline your system. Utilizing dimensioning systems can maximize your process flow and limit the amount of errors & time spent manually measuring. 6. Know that not all dimensioning systems are created equal. If speed, accuracy and dependability are important to you, ensure that your dimensioning system can deliver all three. 7. If you ship a variety of items, from oversized packages to thin mailers, closely research the maximum package height and widths dimensioning systems can measure. 8. Spec out the systems on the market. Certain dimensioning systems can integrate scales to provide package dimensions and weight at the same time. Some can integrate this data with existing shipping software, too. If this sounds like a shipping solution that your company could use, contact us today. We’ve seen this product up close and there are many companies out there who have shipping departments who would benefit from a system like this. We can provide you with a custom quote for your particular needs. Our phone number is (919) 776-7737 or you can fill out the Request a Quote button on our website.